Error: There are no records in the specified range. The usual culprit can be found on the Processing tab of the main Customer record. Make sure that the checkbox next to Print Statements is marked. 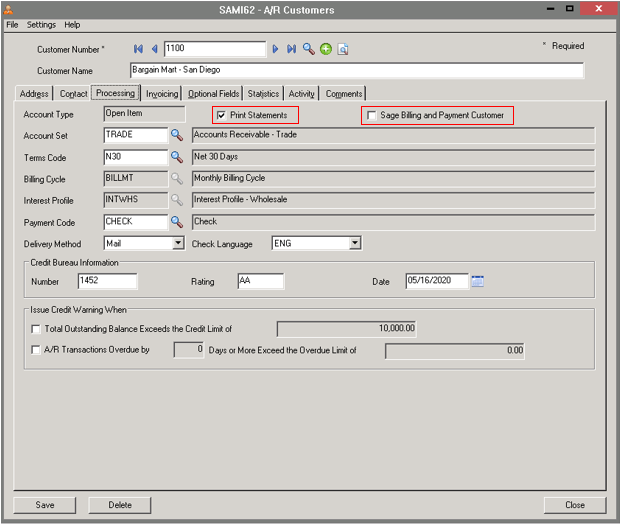 Clients running the most recent version of Sage 300 ERP (2014 aka 6.2) will also need to be on the lookout for customers setup as Sage Billing and Payment Customers (also designated on the Processing tab of the main Customer record). 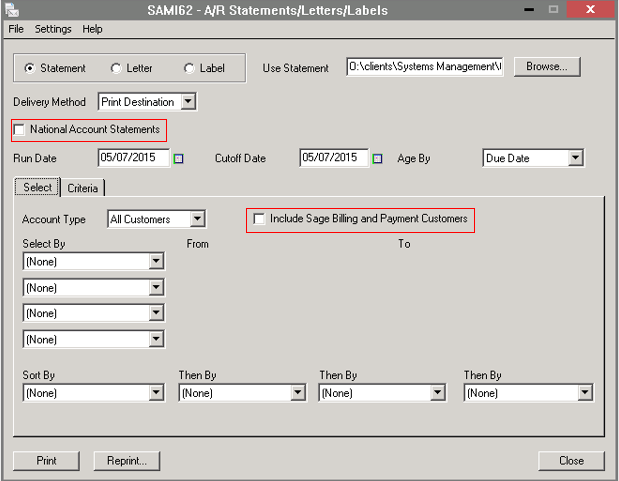 If a customer is designated as a Sage Billing and Payment Customer then in order for statements to print, the check box on the A/R Statements/Letters/Labels screen must also be selected prior to printing. The same principle applies for Customers using the National Accounts designation. Finally, check the Criteria tab for other options that may be restricting your statement from printing. For example, if you have a client with open invoices that are offset by account credits creating a zero balance, their statement would not print unless you were to mark the checkbox below to include Zero balance customers. If you would like more information about how to troubleshoot your Sage 300 ERP software, please contact Equation Technologies today.